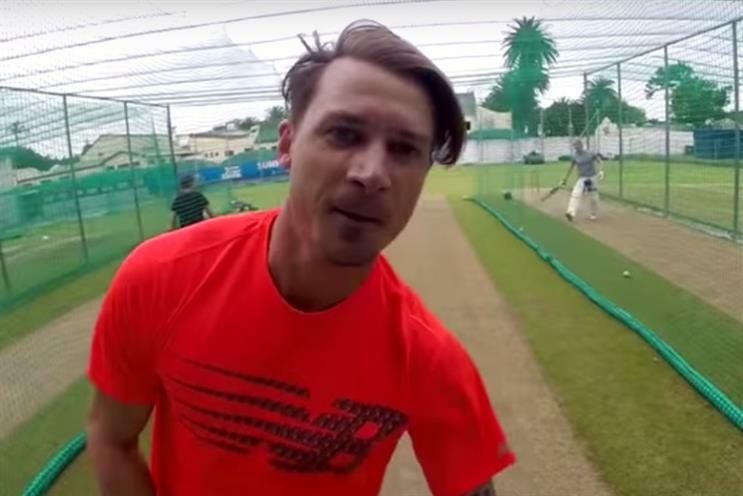 The world's best fastest bowler Dale Steyn has been filmed attempting to smash a GoPro camera to prove the durability of the hardware. Steyn, who currently has the best bowling strike rate in Test match cricket and is a GoPro ambassador, hits the camera with a number of deliveries in this film of a practice bowling session. Despite bowling on average at speeds of 145 to 150 km/h, Steyn’s direct hits leave the camera intact. Creative is set to the track ‘Vice’ by Ash O’Connor and all the action is shot on GoPro’s HD Hero4 Black Edition and Hero4 Session cameras. Footage is shot in such a way to give the viewer the impression they are facing one of Steyn’s deliveries, with the camera placed on a replica batsman ‘Hit Man’ product. Steyn has helped develop the Hit Man himself to practice bouncers in net sessions without the risk of injuring team mates.